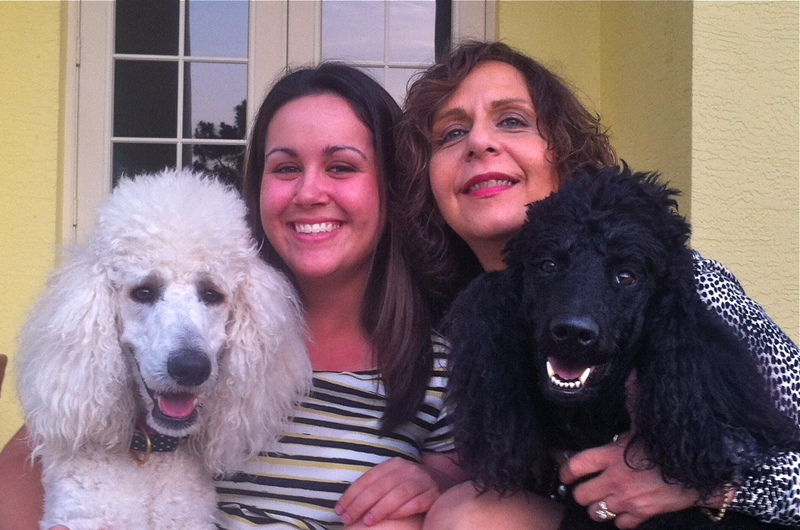 Here is an article I wrote on Therapy Dogs helping in Court…..
Magistrate Judette Fanelli with her daughter, Gia, and two rescued Poodles; Bella & Jake. Originally published in the Family Law Section Commentator, Summer 2013 edition. General Magistrate Judette Fanelli is a long time animal lover. A vegetarian, she also shares her life with rescue dogs. In her career as a general magistrate for Palm Beach County, she is always looking for a way to make court easier for children. “Judge Alvarez reminded me I had a duty to effectuate change and help these children.” Fanelli mused. 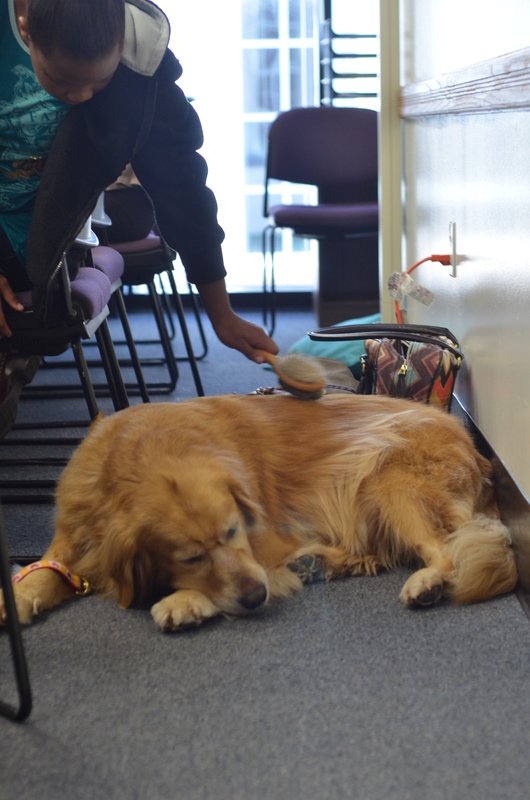 To turn idea into reality, Fanelli researched local therapy dogs association and sought assistance, finding many, many organizations ready to volunteer. Barbara Dawicke, Trial Court Administrator, helped Magistrate Fanelli overcome all obstacles involved in bringing dogs into the Courtroom. Eventually Judge Blanc got involved and approved the pilot program. There are no funds to pay for dogs. This program is funded purely on volunteers and the desire to help children. Every volunteer is there on their own time, with a desire to help. “Everyone helps out even the Palm Beach County Sheriff’s deputies provide bones for the dogs” Fanelli said. When asked about her contributions to this pilot program, Fanneli deflects the question; “Any change I have effectuated has been a result of Judge Alvarez’s inspiration”. January 23, 2012 was the first day Orla came to Court. Orla, the friendly, sweet natured Golden Retriever was an instant hit.